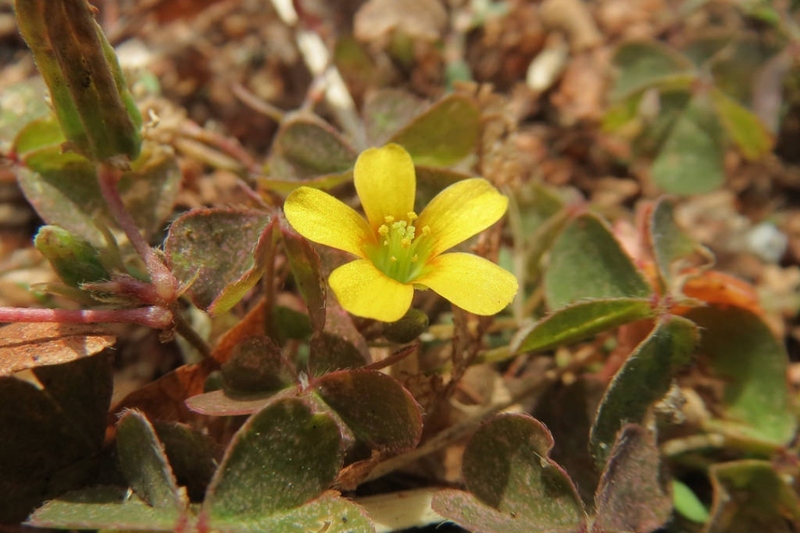 Creeping woodsorrel (Oxalis corniculata): growing, planting, caring. A species with green or purple leaves and star-shaped flowers. 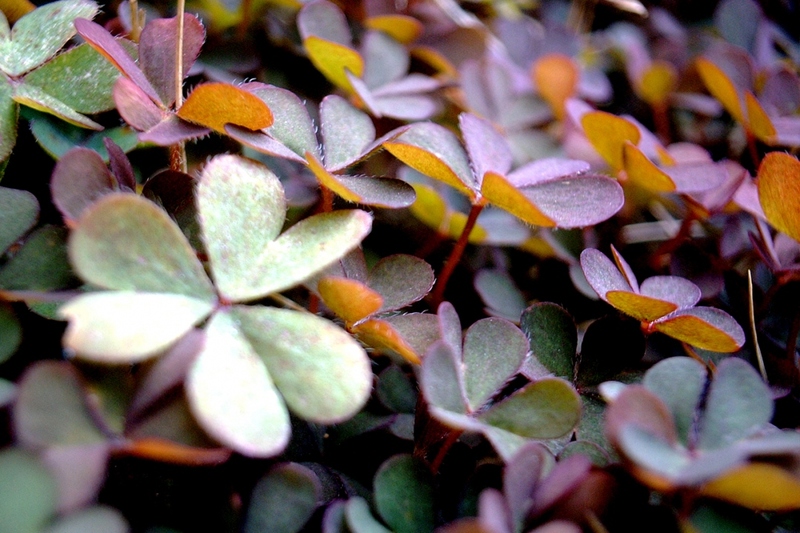 Oxalis corniculata - the creeping woodsorrel - is an herbaceous plant in the family Oxalidaceae. 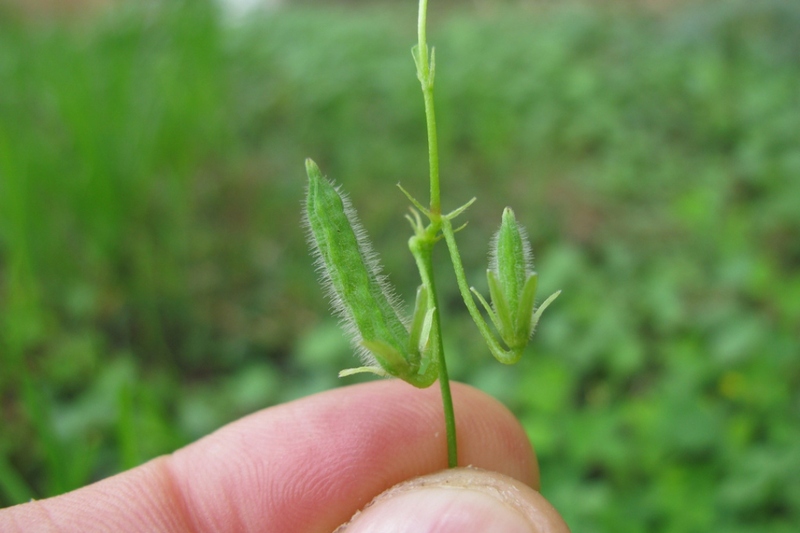 It is a delicate low-growing flowering plant with a narrow, creeping stem that readily roots at the nodes, and trifoliate leaves subdivided into three rounded leaflets, resembling a clover in shape. Some varieties have green leaves, while others, like O. corniculata var. atropurpurea, have purple. It is regarded as a weed in gardens and agricultural fields. Option 1: Look at the merchant's label; Option 2: The oxalides carry 3 or 4 more or less heart-shaped leaflets, and white, yellow, mauve or red five-petalled flowers. Oxalides are found in tubers or scoops. 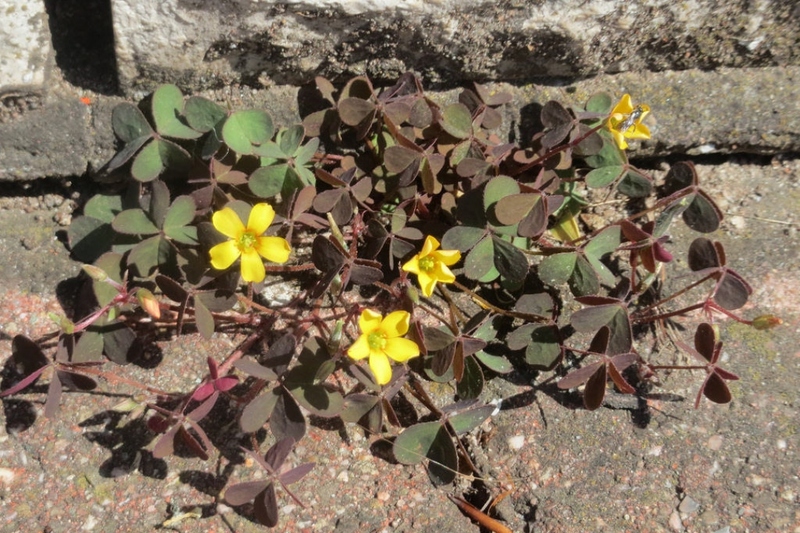 Plant preferably in spring, in the open-soil if your climate is mild, otherwise in pot for the species that you will have to shelter: Oxalis triangularis, Oxalis brasiliense and Oxalis tuberosa. Oxalides like a light soil, fresh and humus. Bury the tubers 5 to 10 cm, and space them about twenty centimeters. In pots, mix soil, decomposed compost and sand in a pot of 3 liters. This should not be necessary: the oxalides multiply quite efficiently without outside help! 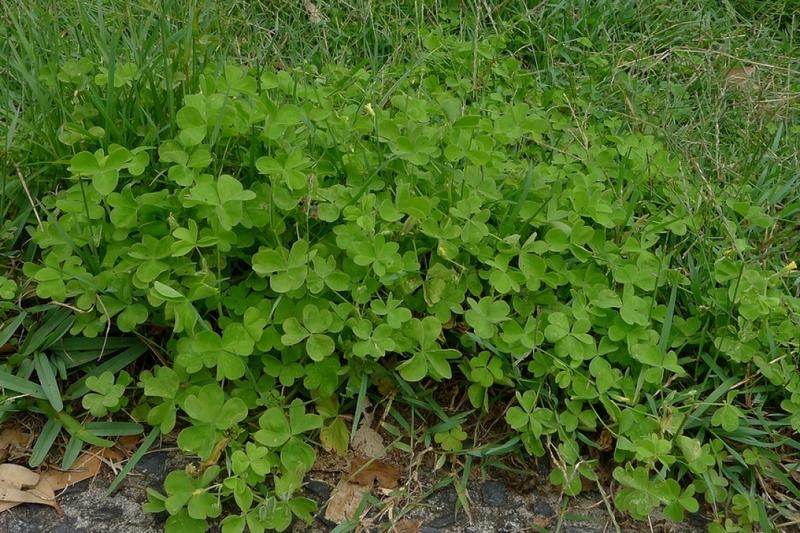 Each year, renew the mulch layer around your oxalis in the spring. It will help flowering by enriching the soil. A small glass of compost juice diluted to 10% - with 90% water - every week in the summer, presto!